And some weeks there is excitement and joy and anticipation. And other weeks there is dread and fear and anxiety. With whatever perspecive we are looking at today, at tomorrow, it’s coming. It’s coming and we will be in it, in just a matter of hours. But there is not reason to worry. Take a deep breath … now let it out. Your lungs opened up to fill with the the air you inhaled, and they emptied as you exhaled. Tomorrow, your chances of breathing are pretty good, and you’ve got years of experience. You have mastered breathing, you can handle this. Now when you inhaled, was there a scent, an odor? If not peek your head outside, and do that inhaling once again. What do you smell? The undeniable, I definable smell of spring? Maybe the smell of mud, with the the frost of the earth melting away? Or the icy scent of a frigid day of winter in spring? Or the scent coming from your dryer vent? Whatever it is, acknowledge it, name it. What can you hear? The sound of birds in your trees? Cars and trucks driving near your home? A distant (or not so distant) train? Water dripping somewhere? Sounds from a nearby television? The kids playing? The husband snoring? The coffee perking? Imagine not being able to hear it, any of it. Listen to what is available to hear. Now what is within your reach? Your mug? The door of your home? Your pooch or feline? What does it feel like? Close your eyes, does it feel the same? different? Touch something, acknowledge its presence and your presence with it. Take note of the reality of the space you occupy alongside what you can touch. You are present. Now, what do you see as you peer out your door? Remnants of snow on the ground? A bird searching for food? The sun pouring into your garden? The poo mounds all over the grass 🙄, from the pooch who acts life the best thing in the world has occurred when you come in the door? Whatever you see, look at it and thank God you can see it. Finally, grab that warm mug, or that toast, or that bowl of fruit and ingest it. But really taste it … close your eyes if you must and acknowledge in your mind the qualities that you can name … sweet, bitter, salty, sour. Taste and see that food is more than just sustence, it is pleasure as well. 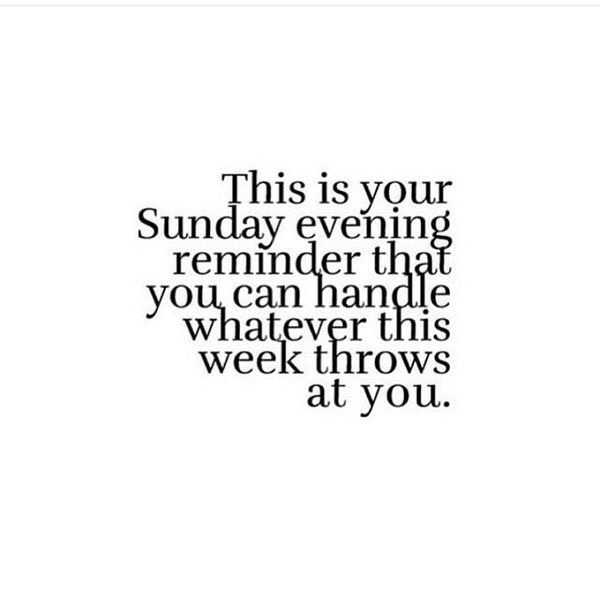 You and I can handle whatever this week throws at us.